The study examines the impact of information and communication technology on the performance of deposit money banks in Nigeria between the periods 2006 to 2015. The log-linear regression model was used to test the impact of various forms of information and communication technology on the banks return on equity (ROE), the computation of the result was done using the econometric computer software package, e-view version 8.0. The result shows that the adoption of various forms of information and communication technology has greatly influenced the quality of banking operations, performance and has specifically increased banks return on equity. Information and communication technology usage can sustain returns on equity of deposit money banks in the long run. The study recommends that investment in information and communication technology should form an important component in the overall strategy of banking operation, as these will make Nigerian banks to be more efficient, profitable, and competitive. This study contributes to the existing literature that investigated the use of ICT in Nigeria banks’. Currently there is the paucity of studies in Nigeria that examines the interbank transactions with the aid of ICT. This study contributes an important dimension in the search for better performance of Nigeria banks. This paper introduced the experience of Shanghai in building the waterfront urban complex with industrial characteristics. In order to ensure the logic and scientific rationality, this paper developed the standard system on the concept of system engineering, based on which a three-dimensional space was proposed for the Shanghai Shipping Service Complex (SSC). Fundamental elements such as technology, management, economy and environment are analyzed and further classified, thus ensuring the systematicness and scientificity of the standard. The framework of standard system was then established through further elaborating the initial structure with four aspects as shipping service, building technology, environment friendly and sustainable management. This paper is a pioneer research in the standard establishment for urban complex. The primary contribution is proposing a framework and design logic in forming the standard system of the complex, providing reference for similar waterfront reconstruction projects. This paper reviews organic food consumption from a sustainability perspective with a view to suggesting future research directions. It gives an overview of historical evolution of organic food consumption as a sustainability movement and provides a critical review of a large body of previous research, which examines organic food consumption from various perspectives. 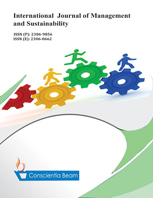 The paper highlights some research gaps and suggests essential future research directions in the field of study: (1) a discourse analysis of the notion of organic food; (2) a systematic industry review of the multiple organic food certification systems; (3) a comparative study to examine consumers’ confusion between scientifically proven health benefits of organic food and perceived value of organic food; (4) an examination of socio cultural aspects of organic food consumption; (5) an assessment of how the benefits of developing organic food markets transfer to developing countries and; (6) a development of a detailed profile of global consumers in the organic food market. This study contributes to the existing literature on organic food consumption by providing six future research directions. It provides a critical review of literature on organic food consumption from a sustainability perspective. The study highlights key issues and inconsistencies in the existing research findings pertaining to the research phenomenon. Effective human capital development is a major prerequisite to equip employees to acquire relevant new ideas, competencies and adapt to a changing market, and effectively drive organizational competitive advantage in order to achieve the survival goals. This paper theoretically examines the relationship between human capital development and organizational survival. It notes that human capital development is essential to equip the employees towards taking the organization to its expected destination. The paper concludes that by developing employee’s human capital, an organization improves her performance, productivity and innovative abilities which are essential for survival. In addition, human capital developments tend to turn human resources into a more tangible assets, as well as help match up the employees to strategic organization needs. It is recommended that organizations should invest in the various aspect of human capital development as it helps firms to attain greater performance and to remain competitive for their long-term survival. Business firms should cultivate high human capital development practices as human capital development drives employee’s loyalty, commitment and a sense of employee’s feeling of obligation toward the organization. Additionally, organizations should make human capital development an important aspect of their corporate strategic plan to upgrade their employees skills, enhance their conceptual knowledge, and broadens their understanding of the organizations total business objectives and values. This study contributed new knowledge to the existing literature of management. Utilizing a theoretical approach, it investigated the impact of human capital development on organizational survival. The paper's primary contribution is finding that human capital development activities are vital for organizational survival and effectiveness, and in driving organizational competitive advantage.